On the last Friday morning the team here in Cambodia voted for Web Feed as the topic of our first hello world of the month. We had spent half day google around the web where we find the definition, types, and specifications of syndicated feed. More exciting time actually started at the afternoon of the day when we begin applying the concept into coding. 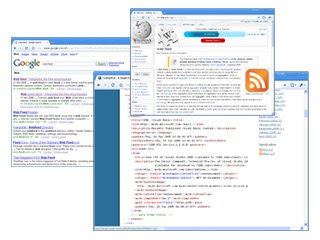 Reading RSS Feed from other sites and generating RSS Feed for our site are the objectives of the day.